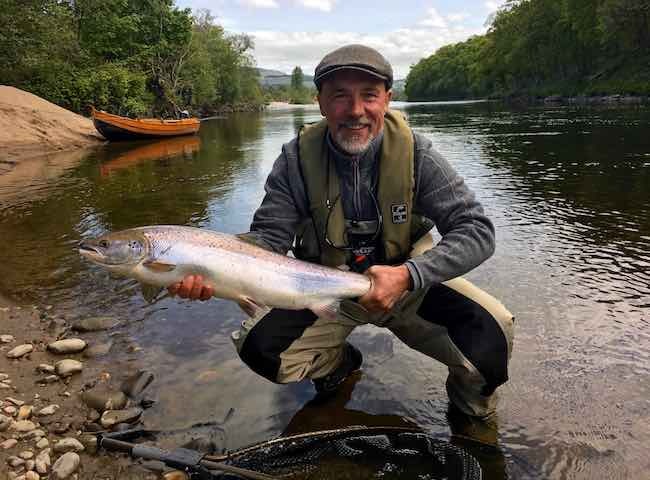 Here's a shot of a delighted client with one of two perfect River Tay salmon he was fortunate to catch on the fly rod before lunch on a fishing event day. 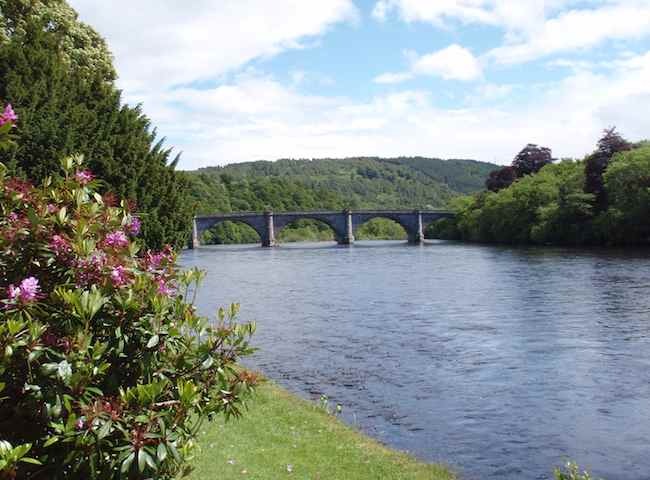 Here's a shot of the perfect riverbanks of the Tay between the popular Perthshire towns of Pitlochry & Dunkeld. 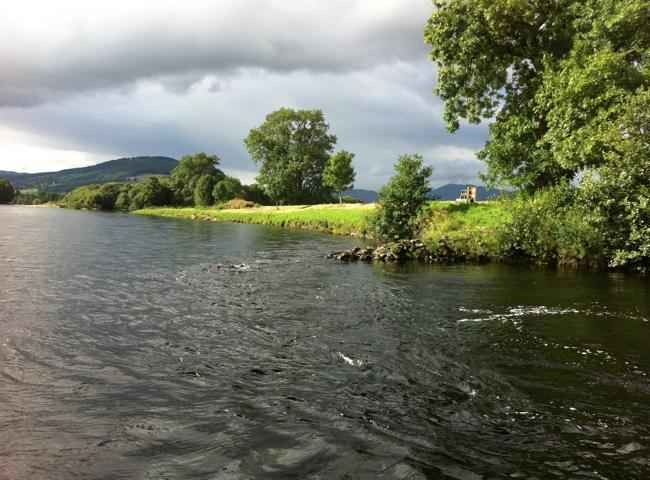 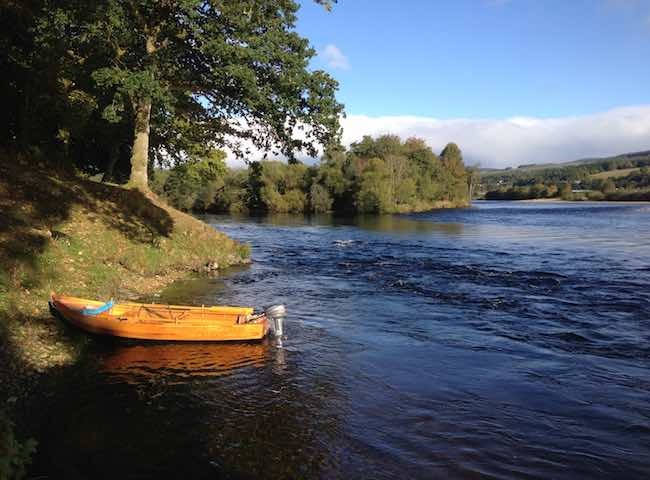 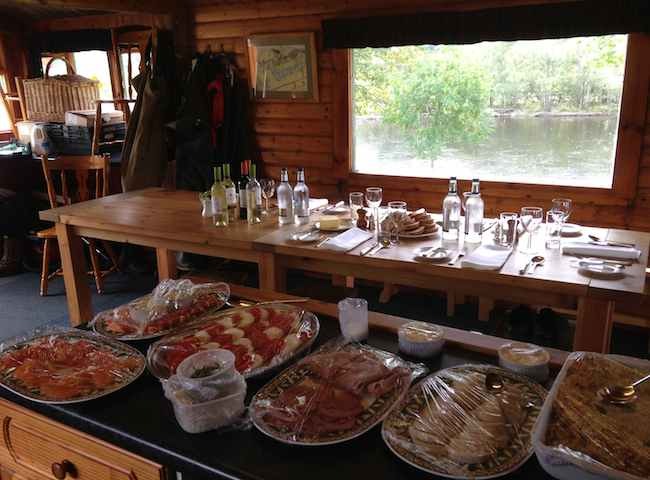 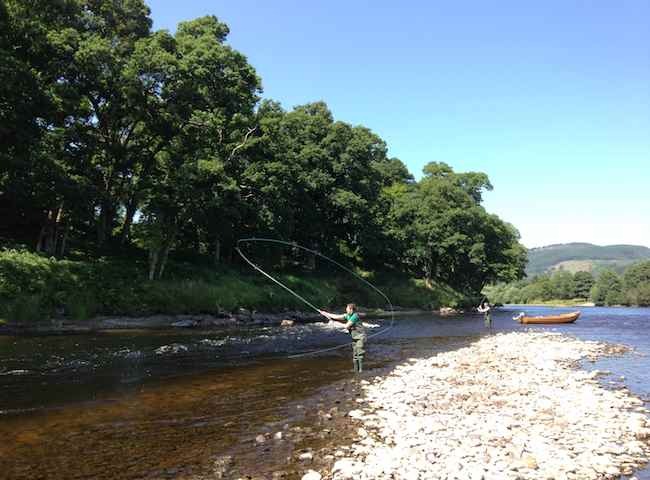 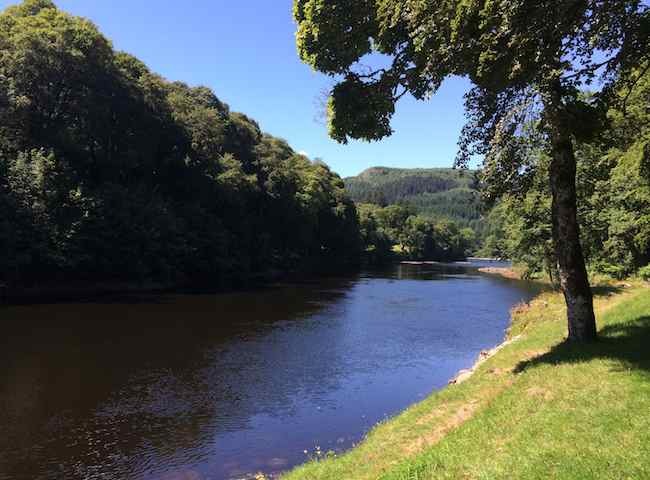 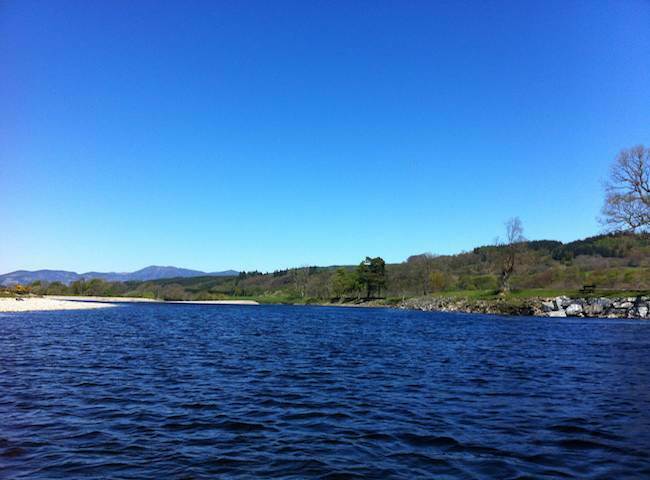 This is a fantastic area of the Tay Valley for salmon fishing & accommodation. 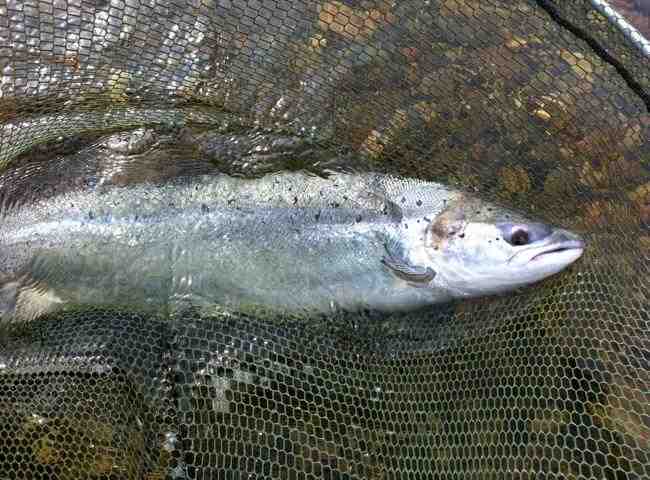 Here's a shot of what is widely regarded in global angling circles as the 'King of Fish'. 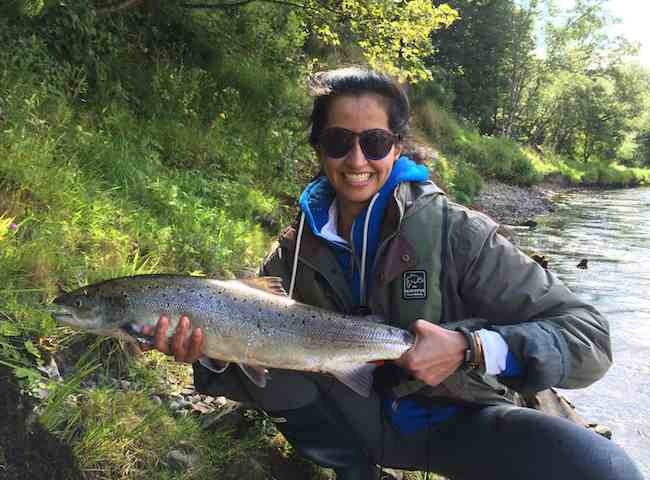 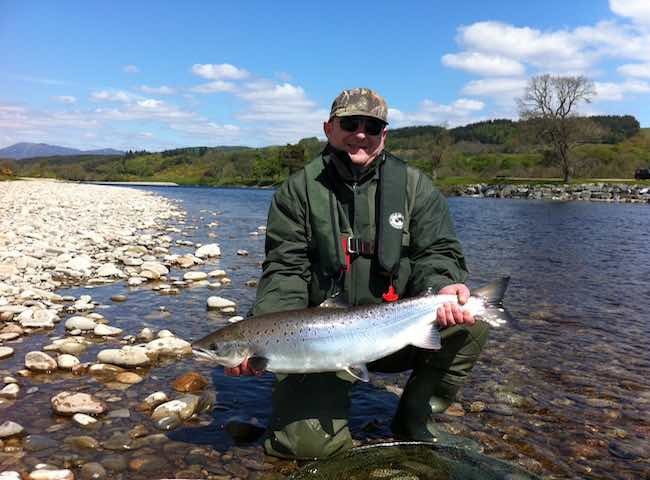 Book a River Tay salmon fishing event and experience a close up encounter with one for yourself.